Welcome To The Land Of Gautam Rode !! Gautam sos un excelente actor . Además de tu encanto. Esos ojos hermosos q actúan y hablan por si solos. No necesitas decir nada. Con el rostro lo decís todo, con la mirada. Y todo te creo. Pocas personas e el mundo tienen esa virtud. Sos bello y bendecido por la vida. Qisiera verte. Te amo. Con que les esto ya seré feliz. Besos. I hope that someday I can visit our country, much success and blessings for you. It would be nice someday to be able to receive a message from you … it would be a great gift. Thanks for being a great actor, always worried about your fans, you are a great man. Hola Gautam mi nombre es Adry, soy Argentina. 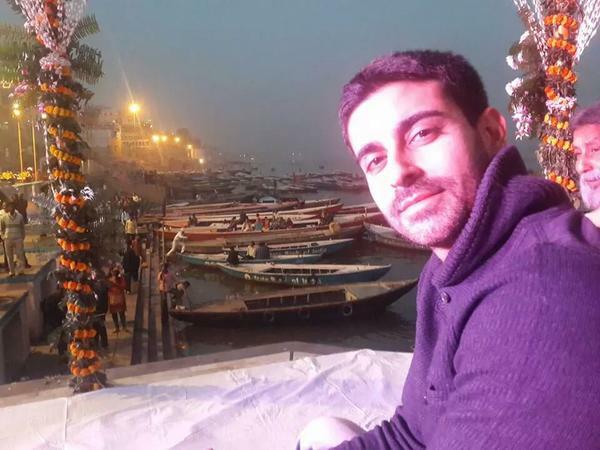 Hace poco comenzo Saraswatichandra en mi país y quiero decir que me encanta la historia y felicitarte por tu trabajo, Saras es un dulce y tu un gran actor!! Hi sir…… i am suman saloni a bhojpuri singer ……. your all fans want to see u with jennifer once again….because u and jenni are best couple in the world…. and not only for me……..for all your fans …so plz come back with jennifer….. plz sir …. can you do this for your fans? Soy,de Argentina quiero decirte que ya vi la novela toda.también vi mahakumb y solo me falta saryaputra sos un gran actor te Amo!!! Una ser humano he visto las cosas que haces por los demás vi tu ultima canción te sigo en todas las redes veo todo lo que haces..
Hola soy lorena de argentina me encanta tu actuación en Saraswatichandra, ojala vengas a la argentina. Hola Gautam,soy de Tucumán Argentina, la verdad AMO como actúas, Me encanta el papel de Saras Watichandra. Me encanta sus tradiciones,cultura,comida y forma de vestirse! !,Muchas felicidades por todo lo que haces , Te admiro muchísimo,espero que muy pronto estés viniendo a Argentina. Con ansias te estaré esperando ❤ ❤ I LOVE YOU. MUCHAS BENDICIONES. hello, nice to meet you I New you in saras and Kumud. I like the indian cultura. My mother lenguage is Spanish… i hope you understan my english. I want to ask you ¿ are you teh same as saras watichandra in the real life? Thanks. hi i am rohelio i knew u by z movie saraswatichandra i loved the movie i hope u do much movies wiz jennifer cuz she is a great actor . Hi Dear Rode I am big your fans in Turkey We loveee youu Turkish people watch Saraswatichandra. You very amazing and talented. Soy de Argentina. Me encanta la cultura de ustedes. Hermosas construcciones y la vestimenta. 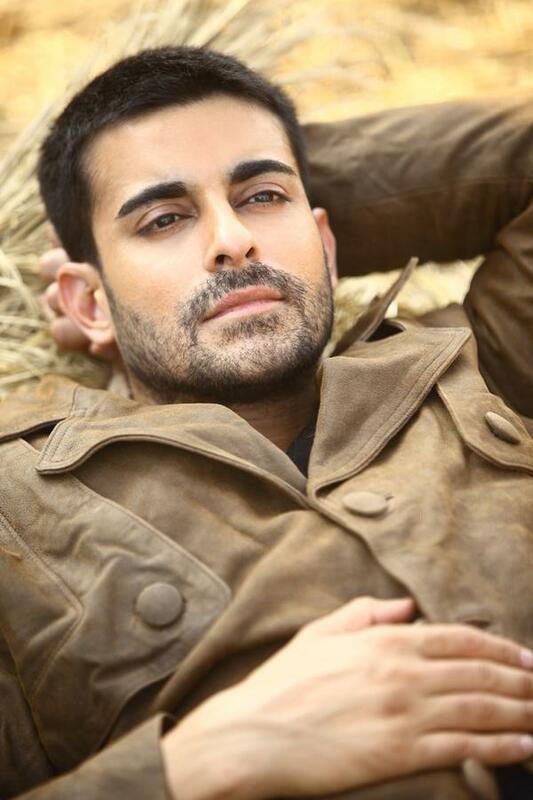 We always have the same support.There is no doubt that you are the best actor?Gautam rode! Hola gautam soy de argentina y deseo que algun dia nos visites tu novela aqui es furor y muy bella saludos!!! Hello Gautam Rode! You are simply the best! I have watched many movies and seen many actors before but none of them were like you. I don’t know how someone could be so perfect in every aspect. You are lucky and you know perfectly how to use your luck. I got to know you through your best soap opera, Saraswatichandra. I am so addicted to it and I have to watch it now and then. This made me love India and Indian colorful dresses. well done! Hola Gautam soy de Argentina no se si alguna vez oistes hablar de nuestro país estamos bastante alejjados pero, por la magia de la televisión y internet ya estamos más cerca quiero decirte que sos un maravilloso actor y conquistaste a toda la teleaudiencia de nuestro país con su historia de Saraswatichandras te amamos aquí al igual que Jennifer nos emocionan con su historia…gracias por darnos tanto y sigue así que vas por buen camino..que DIOS te bendiga y sigan tus EXITOS—GLADIS PAPORELLO!!! Dear Goutham, apologies for the large note. I was searching over Internet and getting confused which is your real Facebook profile, I found this site and couldn’t stop appreciating the idea of maintaining this space. I am not a TV serial/soap person but a great lover of our Indian EPICs and hence though your face was known for long, SURYAPUTRA KARN is the one where I had a detailed experience of seeing and knowing your talent and charisma. I picked it up late as when in India back home, I could never get a chance to see it enough after my IT working hours. But now during off hours abroad, I can’t stop myself searching the episodes in YouTube and involving myself many long hours watching the episodes. Not to deny, when I saw the initial episodes, I thought why they couldn’t have a more unknown/newer face or often I thought the make-up or hair-style (while wearing the crown) could have been better, but as it progressed, I am never more convinced about your choice. In fact, I am completely overwhelmed and dazed. ‘Karn’ being my childhood idol, I always found it difficult to accept anyone in his role unless a lot perfect. But I have been completely bowled over by your suitability and emotions playing the role. The transparency, honesty in your eyes to fit the character and your acting has been so influential on me, that I strongly find a zeal and urge to meet you in person and express how much I admire your role and your talent. Sorry for discovering it late, as I said that I am not a TV-serial or reality-show person and my IT job doesn’t allow me much to follow anything regularly. You playing the role have reincarnated and elevated my love and respect for ‘Karn’ and that is possibly the highest form of appreciation and obligation I can think of from my heart. You must be a wonderful human being else the clarity in the eyes cannot be created for any act. I think in your extremely busy celebrity schedules, this site notes may have been maintained by some of your good friends and he/she may have been reading this at this moment on your behalf. Sincerely, thanking him/her, I would really wish to meet you someday very soon, if you wish, and let you know how much I am influenced by this play. My good wishes for you for all your endeavors, but will save the best wish so that I can say it in person. The ‘Dadasaheb Phalke Award’ is certainly a ‘Feather in your cap’ but I am sure, there will be more to come. Dear Gautam, I live in Buenos Aires, Argentina. I am one of your followers. I am very worried for you. I notice something wrong with the picture posted last saturday during the chat. It shows that you have been working with your notebook on your legs. The notebooks include Lithium Ion Battery. This kind of battery generates heat. You can burn yourself even you rub-down slowly. I let you know that you have never to put together these articles i.e. two articles that include Lithium Ion Battery. Dear Gautam, You are very important for us. Sorry to disturb you. But, I think that it is imperative this advice to you and anyone wants to know. .
GAUTAM i will love to leave u a message here: that i will always be ur admirer, will always support ur job and will always wait for a very little moment of ur time to send me at least a like or a msg. You re in my heart, superstar! Hello my dear Gautam! It’s a great pleasure to get to know you more. Every year is better. I want to congratulate you for your effort and dedication in all your work. Especially for your humble way of being, whenever I see you are with your huge and beautiful smile, (That without a doubt changes the day of many people). Admiring you for TV is not enough. I hope I can travel soon and get to know you. The truth is a great person Kind responsible person nice. And very good moso! Of course .. without counting your eyes .. they are very expressive and at the same time very enigmatic .. they call my attention a lot ..
As I told you: I admire you my dear friend! I wish you many successes in every new challenge ..
And may God direct your life. And fill you with great Blessings because you deserve them. it has been beautiful to meet you through saraswatichandra eternal love to you 1 you are a tremendous actor and I hope to see aksar 2! It would be wonderful to have her in Spanish !!! gautam wishing you are well and that you are very successful with aksar 2 I would like to ask you to contact you , on twitter I know you have many followers and I am one of them :)I’ve waited my chance since February! with @CampusanoEster or @For_Gautam ( account dedicated to you, loveForGautamRode) sorry for writing this and for my English that’s bad , I just hope I can get to you , you will make me very happyfrom Chile with much love and respect I have written to you. Hey Gautam! This is my first interactive message to you. Hope you will read. I am from Bangladesh. I loved your show “Saraswatichandra” and also you 😛 i mean you character like how your act had been beautified the dashing role of Saraswatichandra. I had watched the show when played on “Starplus” that time ,but now watching again. Will definitely watch all your recent dramas and movie “Aksar 2- actually downloading now ” . I wish you many more glorious success in your upcoming year. And also congratulations for your marriage. Take care. LOVE YOU.